May 25, 2012 –– At its Celebrating Small Business event Wednesday, Cape & Plymouth Business honored and celebrated local Difference Makers that are positively impacting the South Shore and Plymouth business communities. The 2012 Difference Maker award winners are: Phyllis Wenzel of Image Resolutions; Debbie Cox of the Plymouth Philharmonic Orchestra; Brian Faghan of Long Pond Physical Therapy; and Jessica Roman of Tummies2Teens Consignment Boutique. 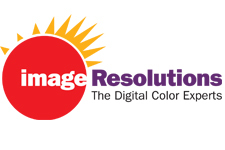 Phyllis Wenzel, Image Resolutions: Wenzel has grown Image Resolutions from a small home business to a large printing company, and is now expanding with a wedding division. Throughout the years, Wenzel and her company have stepped forward to assist other small businesses and nonprofit organizations. Wenzel is active in the SSWBN, Norwell Chamber of Commerce, Massachusetts Educational Foundation and Norwell Women’s Club. Debbie Cox, Plymouth Philharmonic Orchestra: Cox has been leading the Plymouth Philharmonic Orchestra the past few years and the organization has flourished. She continues to find new ways to enrich the Phil’s relationship with the Plymouth and area schools. She’s built wonderful ties in the business community which has earned her a board seat on the South Shore Chamber of Commerce this year. Jessica Roman of Tummies2Teens Consignment Boutique: Two years ago, while on full scholarship to Northeastern, where she had written a business plan for a children’s boutique, Roman walked into a consignment store that was going to close. After conferring with her professors and with her fiancé, she decided open her own store. She has already expanded this year into a larger space and is now being approached to open additional locations. Brian Faghan, Long Pond Physical Therapy: Faghan and Andy Burke have found a way to expand the business with offices in Plymouth and Pembroke. They continue to be contributing members of the communities in which they serve, whether it’s through the various organizations they belong to, such as the Plymouth Area Chamber of Commerce, BNI and Rotary club to the youth programs they sponsor in Plymouth and Pembroke. But where they really shine is in the difference they make in their patients’ lives. The 2012 Difference Maker honorees will be profiled in the July 2012 issue of Cape & Plymouth Business. The Celebrating Small Business event was sponsored by Comcast Business Class, Constant Contact, Bridgewater Credit Union, and Cape Promotional Products, with support from the Plymouth Area Chamber of Commerce, the South Shore Women’s Business Network and 95.9 WATD.